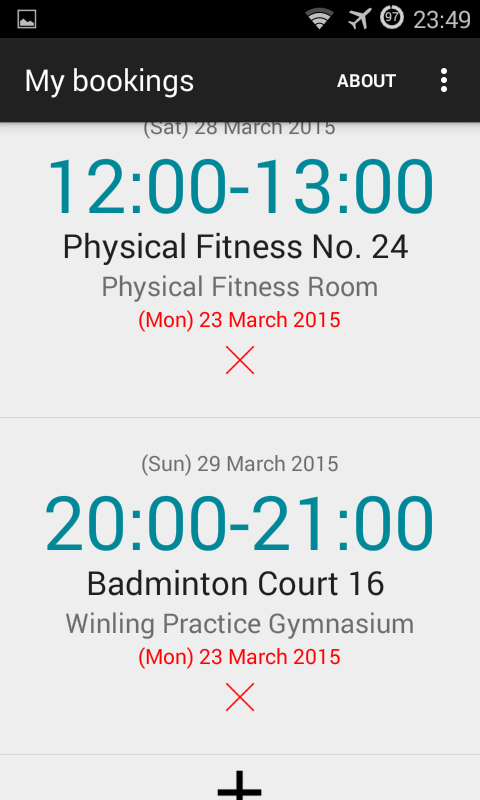 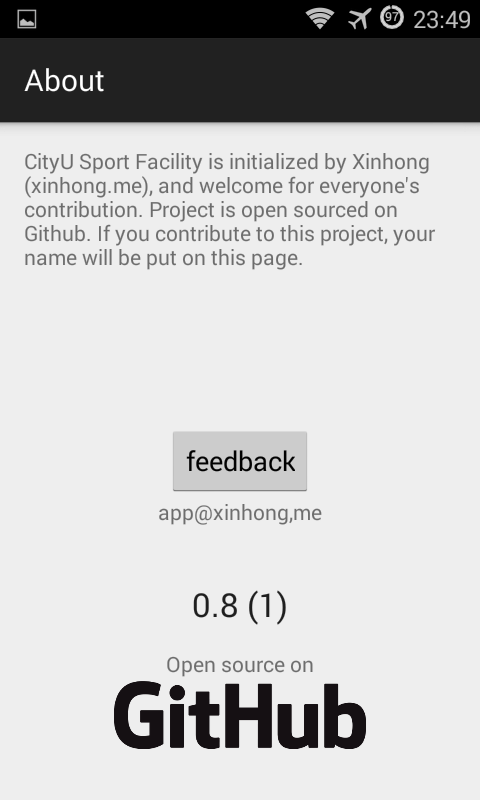 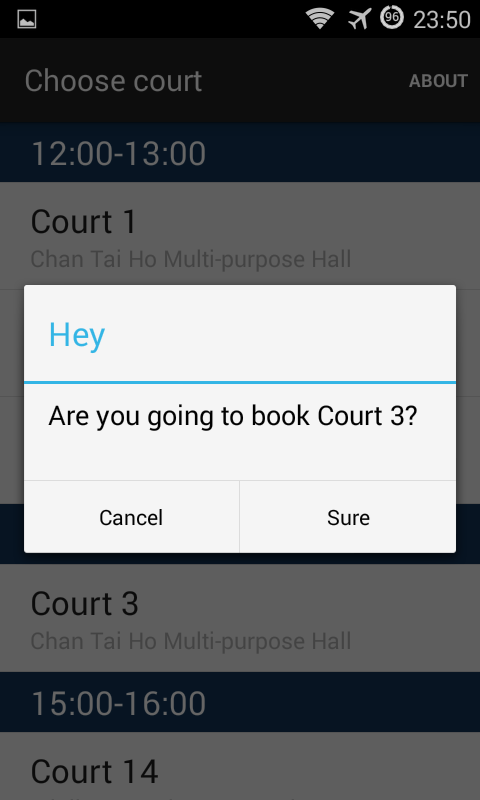 Welcome to Cityu Sports Facility for Android. 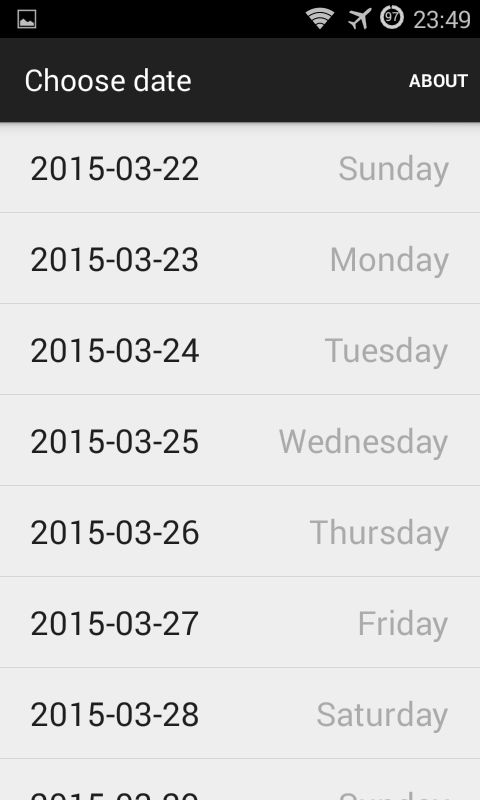 If you encounter "Cannot open file", please open the APK in your file manager on your phone. 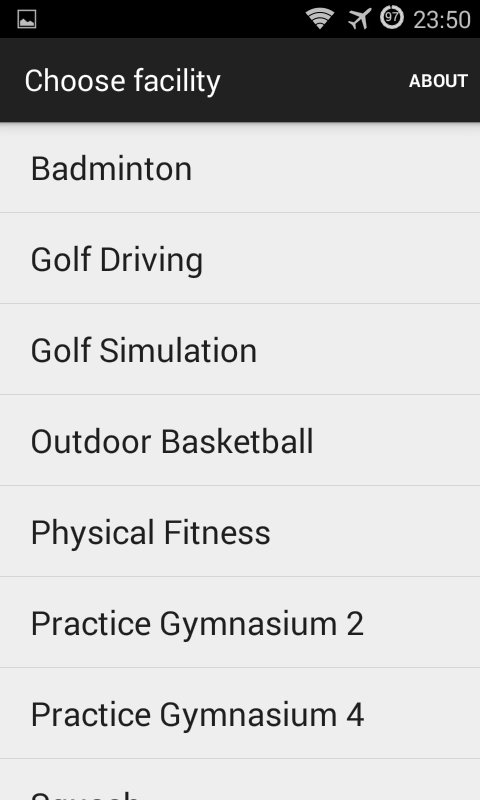 Requires Android 4.1 or higher, only tested on Nexus 7 (2013) and Galaxy W.